As a writer, I've only recently found the courage to write about things that trouble me the most—injustice and evil. 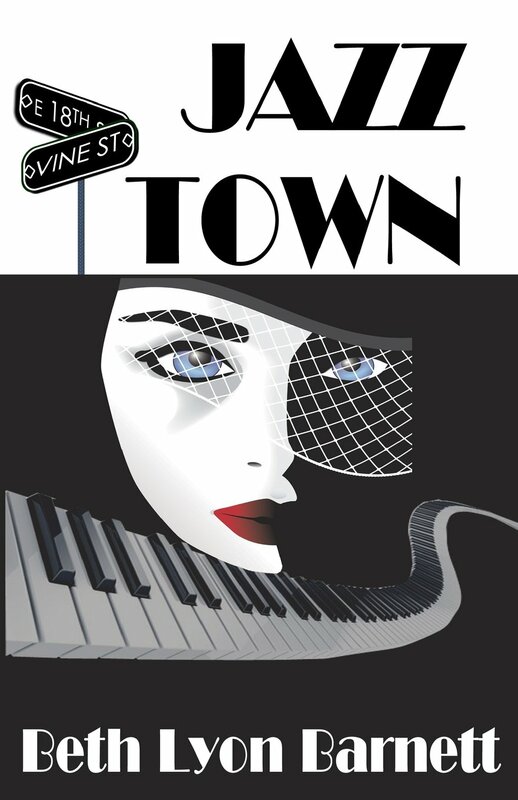 My first novel, JAZZ TOWN, revolves around Jews and African Americans living in the Kansas City era of Jazz. In those days, most Negros were still treated as sub-human, and Jews were socially unacceptable. I had three big back surgery and lost my traveling job. Nevertheless, the beauty of my territory, Missouri and Kansas, bewitched me. When I first came upon the beasts, I didn't recognize them. But they were there, hovering close to the ground, ready to spring. That's what ADAM'S NEEDLE is about—a boy and his dog routing the monsters—child abuse and religious prejudice. Both books are on Amazon and the Kindle. I'm working on book number three. It's about a girl struggling to live with an incurable type of cancer that already I have. Please enter your email address and click the Follow button to follow Beth Lyon Barnett! Hitchhiker mysteriously helps a faithless young woman with cancer-discover mystical shamans, magical crystals, and spiritual healers in her brave often reckless quest for a cure.